The haemorrhage packs were developed in Afghanistan to handle injuries suffered in conflict. Every police squad car in Northamptonshire is to be fitted with trauma kits to deal with serious injuries like stab wounds, heavy bleeding and amputations. All first aid kits carried in the county's response cars will be equipped with new 'haemorrhage packs', while 275 frontline police officer will be trained to deal with major traumatic injuries and provide life-saving emergency care. The kits were unveiled at Northamptonshire Police HQ at Wootton Hall yesterday (November 3). The packs - which were developed to handle wounds suffered in conflicts in Afghanistan - come in the face of rising incidents of knife crime nationally. Northamptonshire Police will be the first force in the country to be equipped and trained with the kits as standard at a cost of £15,000. Assistant chief constable James Andronov said: "As a police officer myself, I have attended incidents in my career where I was the first on the scene and needed the equipment and training to save a life. "Our officers are attending incidents every day where people have suffered serious injuries or trauma, like serious accidents and assaults. “I support anything that allows our officers to provide an enhanced service to the public and these kits will allow our officers to provide essential help until colleagues from EMAS arrive." The packs include tourniquets, emergency bandages and specialist gauze to create clots when dealing with penetrative injuries like stab wounds. The kits have been supplied by the East Midlands Ambulance Service at a concessionary rate. 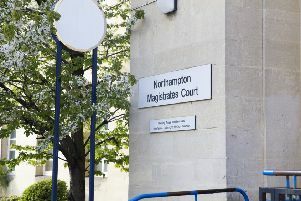 Northamptonshire's police and crime commissioner Stephen Mold said: "We hope they're a complete waste of money and they are never used. But if they are used and they save even one life they will be worth it.